What is a silk laminated business card? They are premium business cards that provide an elegant and stylish look and feel to them. We apply a silk lamination to both sides of the card which helps prevent chipping and cracking along the edges. Plus, these laminated cards are water and tear resistant making them a stylish choice. 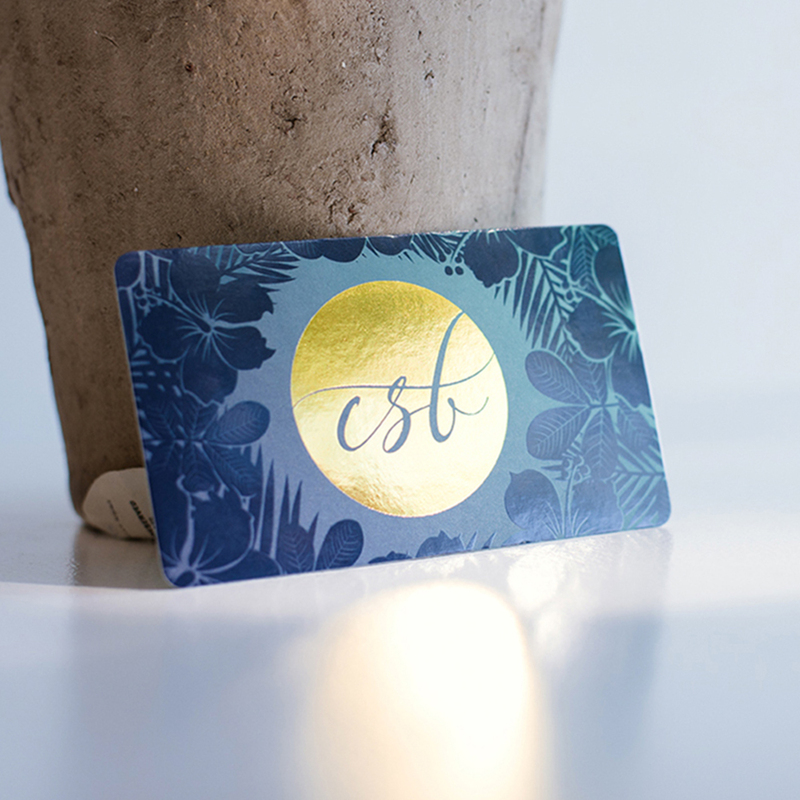 Make a great impression with silk cards. 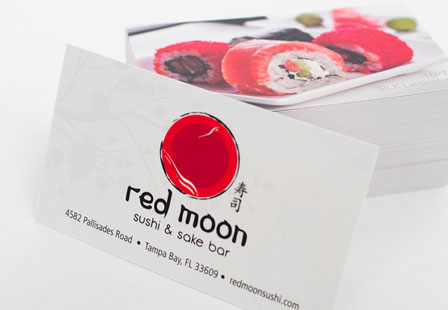 With our Silk cards, you have the options to include Stamped Foil and Spot UV. 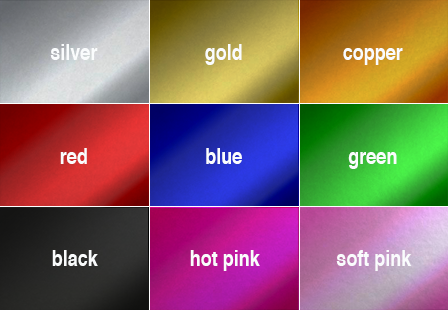 Choose from nine metallic colors including Gold, Copper, Silver, Black, Red, Green, Blue, Pink, and Hot Pink. Add clear Spot UV to highlight specific areas of your business card design such as images, logos graphic patterns, or text. They are offered in a variety of sizes, shapes, and printing options (rounded corners) to make your silk laminated business cards one-of-a-kind.